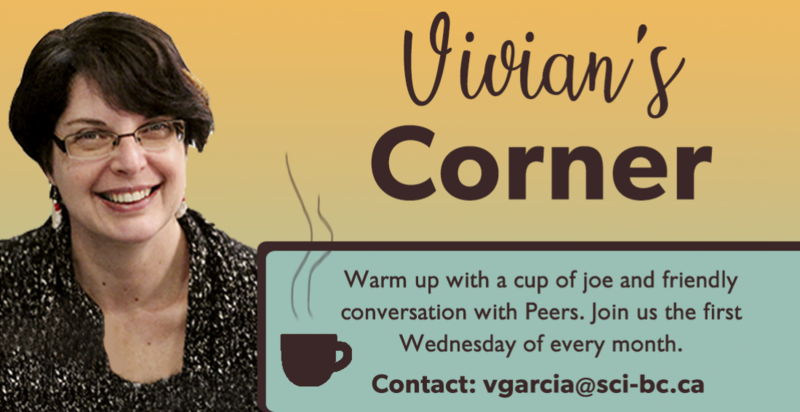 Each month Vivian Garcia, long time Peer mentor and organizer of the Surrey City Centre SCI BC Peer Coffee Group puts together a newsletter about upcoming Surrey events, opportunities, and important information for people living with SCI, and featured here in Vivian’s Corner. Click here to download the PDF of the MONTH newsletter. Q-logic Joysticks and Bluetooth features and connections to digital devices. On March 6, Eduardo Jimenez, Service Coordinator from Macdonald’s Home Health Care, a sponsor of SCI BC, joined the SCI BC Surrey Bean There Coffee Group to discuss wheelchair maintenance. He brought some manual wheelchairs and some parts to show. 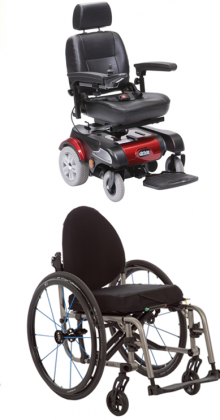 We looked over some bearings and talked about batteries, smart wheelchairs and different types of frames along with other items. For more info check out the handouts linked in the Highlights section of this page. 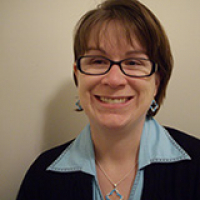 In my position as Information Resource Specialist at SCI BC I have met many people who are experiencing significant challenges in living with spinal cord injury and accessing the system. One of my roles is to know the system and to help people find ways to get their needs met through existing social, health, and other support services, including advocacy. My advice: I suggest people figure out which level of government is responsible for the issue they want to advocate about and then try to set up a meeting with the appropriate local representative (eg. council member, MLA, etc. or write a letter outlining the situation. Eg. parking issues would go to the local city council whereas PWD issues would go to the province. People should find out what the current situation is (eg. any laws or rules that govern what is currently happening) and what other jurisdictions do for the same issue. Then outline the problem AND potential solutions. 1-800-689-2477 or via email at info@sci-bc.ca. Use this information to find out tax information specific to people with disabilities. 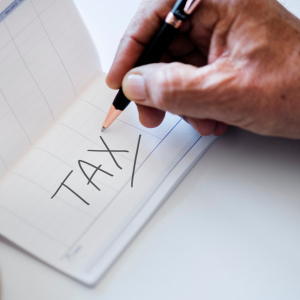 Not all of these tips will apply to you; for more specific information regarding your situation, please see a tax professional who can help you assess your circumstances and the best way for you to file your tax return. This document has been updated for the 2018 tax year. Thanks for reading this month’s Vivian’s Corner! Stay tuned for Vivian’s May newsletter and be sure to join the Surrey City Centre Bean There Coffee Group meeting May 1, 2019.